"Translation is the continuation of war by other means", this maxim is the cornerstone of a set of ancient Chinese treatises under the collective title Fu of War . Therein, military ploys find application to the art of translation. Among wars described in the book, between the invading boriginalb and the defensive btranslationb, or vice versa, is one that a Master Lifu, or Fu Lei, waged against a General Zhan Le (who resembles James Joyce) and his Shou Ling army (that resembles Finnegans Wake). Musical motif B-íA-D near bB.C.b and bA.D.b abbreviations. Bartnicki, Da Capo al Finne, front cover. or a score of about 400.000 lower- and uppercase Abs, Bbs, Cbs, Dbs, Ebs, Fbs, Gbs, Hbs which stand for 8 respective sounds . Bartnicki, Da Capo al Finne, opening page. 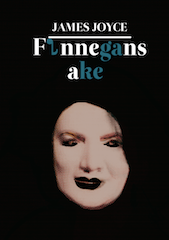 Joyce, Finnegans _ake, front cover. The 4% remainder is comparable to the disjoint sets of Finnegans Wakebs textual variants. If we decide to call one text Finnegans Wake and admit other textsbdifferent by thousands of textual elementsbdeserve the selfsame title, then there is no easy logic against not regarding 96% of Finnegans Wake as yet another variant of Finnegans Wake . Finnegans Wake isbor, at minimum, may bebmusic. The claim that James Joyce published (posthumously) some sheet music, a copy of his own material that had been known previously as literary Finnegans Wake, must be as false to many as it is unfalsifiable to all. But is the sentence a Chinese original? It comes into English as an obvious play on the German aphorism by Clausewitz. When an old Oriental wisdom gets translated into European through a young, domesticated equivalent: where is the "original", and what are its "copies"? (As if there were not enough problems with establishing whether a true translation from German should be bby other meansb or bwith other meansb.) 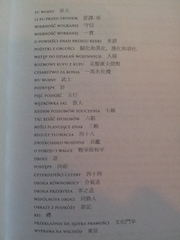 Anyway, I learned the sentence in Polish from this book: Anonymous. (2012) Fu wojny. Kraków: korporacja ha!art. But therebs the rub. To find such a person is almost impossible. Not many a Joycean scholar speaks Old Chinese and has access to obscure Chinese texts. Joyce wrote to George Antheil (January 3, 1931): bI am quite content to go down to posterity as a scissors and paste man for that seems to me a harsh but not unjust descriptionb (Letters of James Joyce, vol. 1, edited by Stuart Gilbert. New York: Viking Press, 1966: 297). See Finnegans Wake, page 424 (in any 628-page long edition). 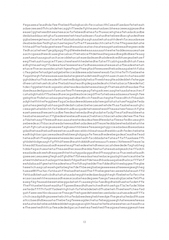 A Prospectus for Finnegans Wake. James Joyce. Edited by Danis Rose and John ObHanlon. 2010. 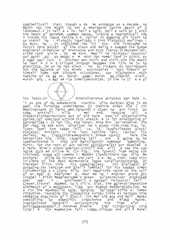 <http://www.houyhnhnmpress.com/finnegans-wake-prospectus>. Access: April 5, 2015. See James Joyce's letter to Harriet Weaver Shaw (March 2, 1927); discussed in: Jack W. Weaver: Joycebs Music and Noise. Gainesville: University Press of Florida, 1988: 4. 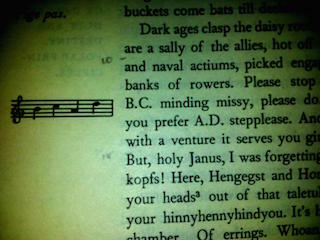 Where Bach would have an H note on the staff, Joyce puts a B. I follow the German H/B division. More on the subject in: Krzysztof Bartnicki. 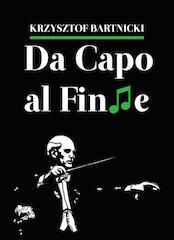 (2012) Da Capo al Finne. Warszawa: Sowa. Some musical findings inside Finnegans Wakebs letters are available here: <https://soundcloud.com/gimcbart>. Access: April 5, 2015. Of the title, the capital bWb is the only letter dropped out as musically non-symbolic. See: James Joyce. (2014) Finnegans _ake. Warszawa: Sowa. 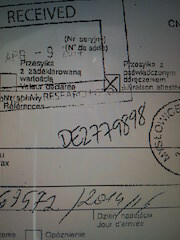 Krzysztof BARTNICKI (1971) is a Polish translator, author of dictionaries, writer. His Finneganów tren (2012) is the worldbs 7th complete translation of James Joyce's Finnegans Wake. In Da Capo al Finne (2012) and edition of Joycebs Finnegans _ake (2014) he pursued his interest in interdisciplinary translation. His present projects include translation of Finnegans Wake into image.